Well, the Harry Potter news is starting to ramp up a bit. 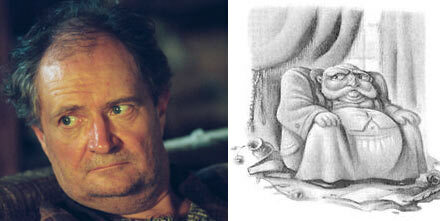 The newest news on the newsy street is that Academy Award winner Jim Broadbent will be taking on the role of Potions teacher Horace Slughorn in the upcoming film Harry Potter and the Half-Blood Prince. The 6th Harry Potter movie began filming just Monday & is slated for a November 2008 release. Who else has chill bumps?